Democratic gubernatorial candidate Ben Jealous leads a chant at a rally for clean energy Wednesday morning. But the legislature is set to take on some politically divisive issues — many in response to actions taken by Congress or President Trump in Washington — in a session also fraught with election-year political fights. U.S. Senator Ben Cardin addressed the legislators shortly after Hogan. “What we did in Washington is making your jobs more difficult in this legislative session,” he said. For example, he said, take the recent changes to federal taxes and the Affordable Care Act. 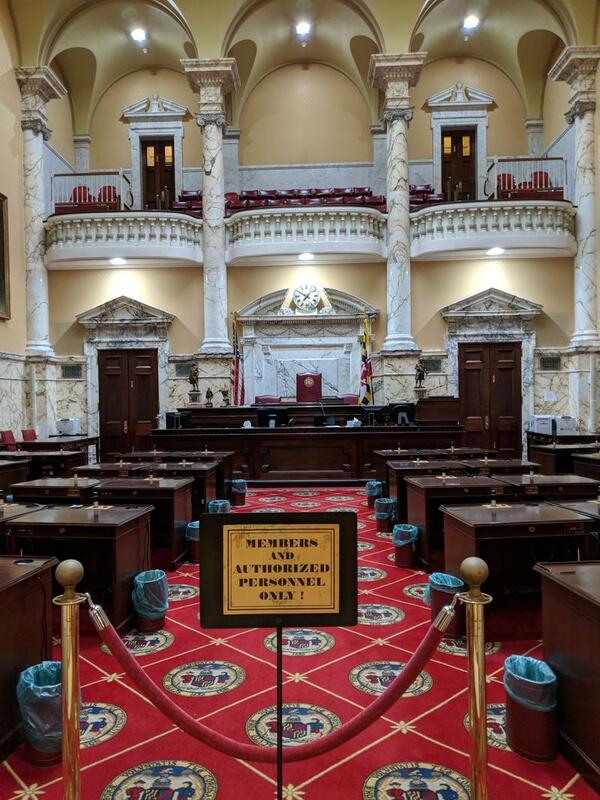 Senate President Mike Miller warned the lawmakers in his chamber that those changes politicians in Washington made to taxes and healthcare are going to mean tough choices in Annapolis. To add to the tension, every legislative seat is on the ballot in November, as are all statewide offices. 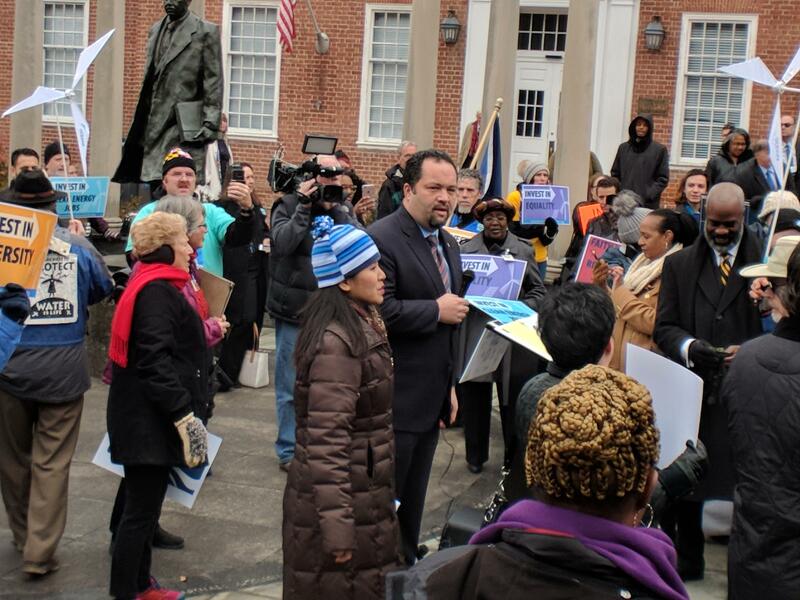 On Wednesday morning, Democratic gubernatorial candidate Ben Jealous revved the crowd at a rally for clean energy in front of the State House. 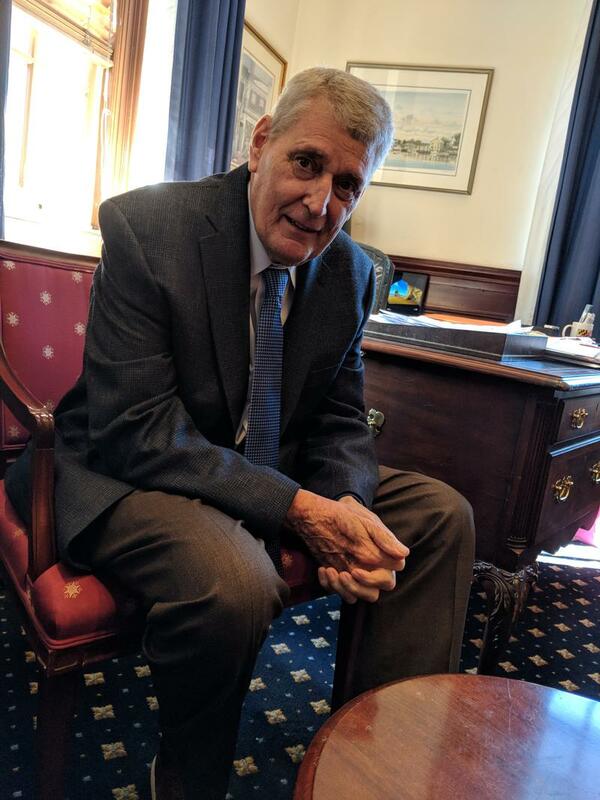 And a discussion of policy priorities with Sen. Richard Madaleno, another Democrat running to unseat Hogan, quickly turned into campaign rhetoric. “And that is why Hogan has to go,” he said at the end of a pitch about the best way to fix Baltimore City Public Schools’ recent heating issues. During the Senate’s floor session Wednesday, Miller called attention to the senators who are retiring or leaving the body to seek other offices. “Well actually, some of us aren’t coming back but don’t know it yet,” he joked. 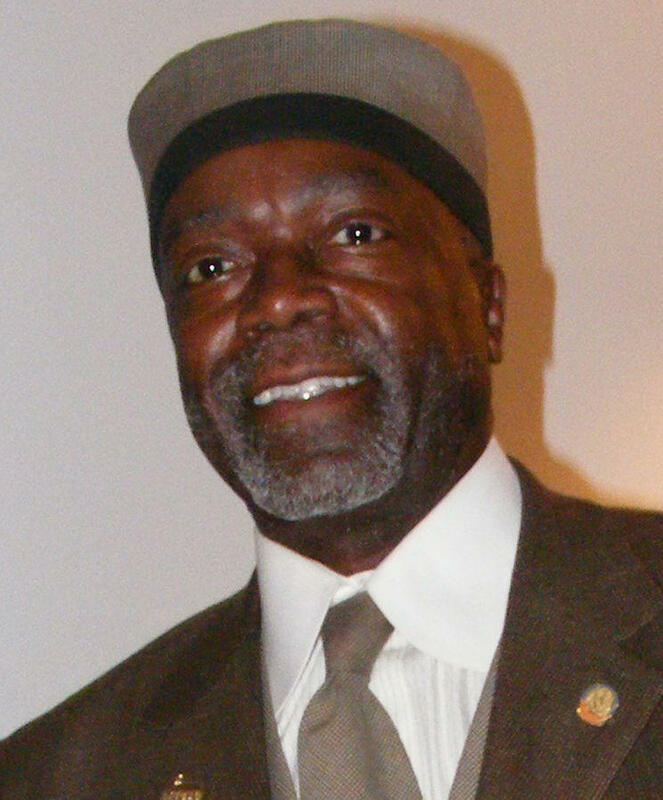 The opening of the session was also colored by pending corruption charges against state Sen. Nathaniel Oaks. Oaks is accused of accepting bribes from an FBI informant in exchange for using his position as a state legislator to advance a business deal. At a press conference Tuesday, Hogan criticized the fact that Oaks would be returning to the Senate for the session. Miller said he will refer the issue to the legislature’s Ethics Committee. Miller promised to follow the Ethics Committee’s recommendation. The result could be a public reprimand, or it could be a vote to remove Oaks from office. Even in this contentious year, there are a few issues that have bipartisan support. One is a bill that would allow women who get pregnant after being raped to strip their attackers of parental rights. It’s supported by the governor and the leaders of both legislative chambers and is expected to proceed quickly, beginning with a hearing before a Senate committee Thursday afternoon. 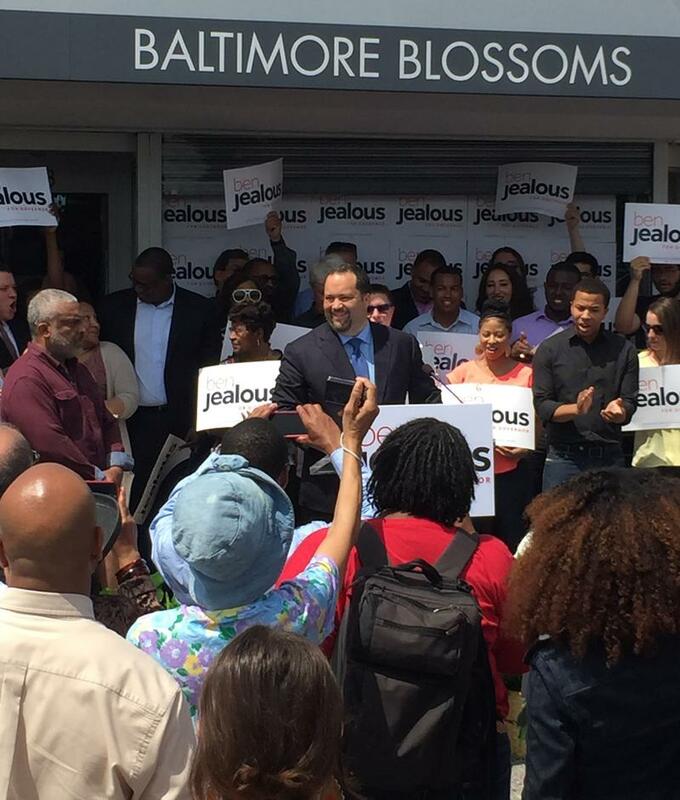 Former NAACP President and CEO Ben Jealous has formally announced his plans to run for governor next year. The 44-year-old Democrat and California native made the announcement Wednesday morning at a rally outside his cousin’s West Baltimore flower shop. His 24-minute speech highlighted his ties to Baltimore and a family legacy of civil rights activism, including his mother’s efforts to desegregate Western High School as a young teen. State Sen. Richard Madaleno formally announced on Monday that he is running for governor in next year’s election. The Montgomery County Democrat enters an already crowded field of Democrats vying to unseat Republican Gov. Larry Hogan. State Sen. Nathaniel Oaks, who represents northwest Baltimore, was charged in U.S. District Court Friday of accepting cash in exchange for advancing a development project in the city. Gov. 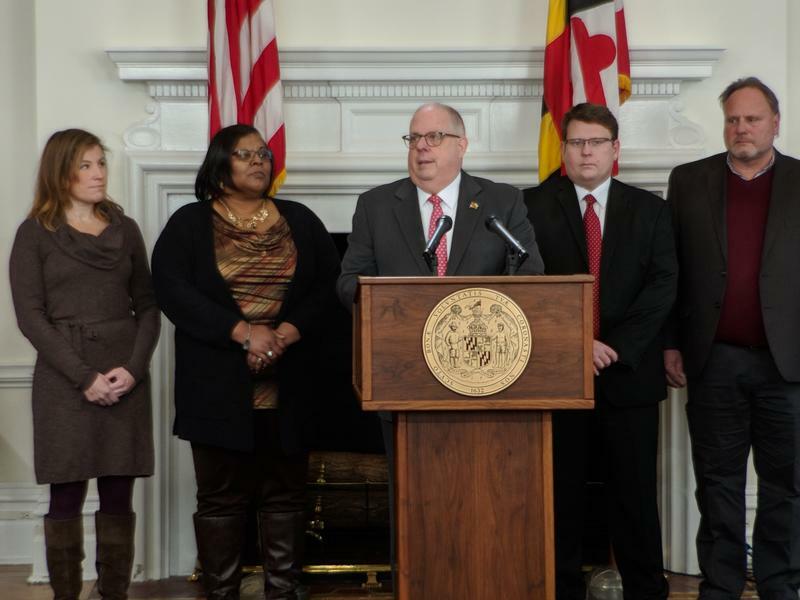 Larry Hogan announced his support Friday for a bill that would allow a woman who gets pregnant after being sexually assaulted or raped to strip her attacker of parental rights. The leaders of both the House of Delegates and the state Senate are co-sponsoring the legislation. 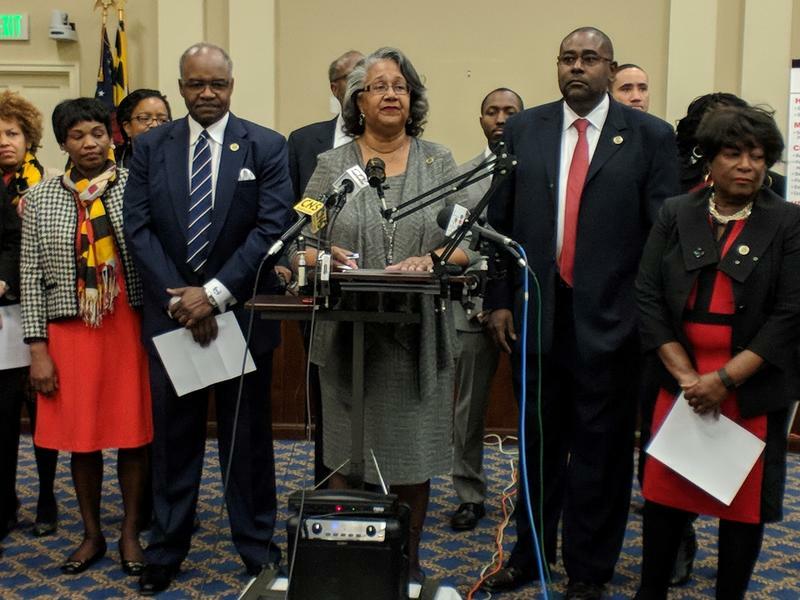 To mark the start of the General Assembly session Wednesday, the state Legislative Black Caucus announced plans to push for bail reform, money for historically black colleges and universities, and the development of State Center in Baltimore. And the powerful group took a firm stand on medical marijuana.